Now that is how you bounce back from a disappointing summer box office. Stephen King's IT scared a new life into movie theaters this weekend with a massive, record breaking $117 million opening. IT tells the story of a group of kids known as the Losers' Club who find themselves dealing with the evil Pennywise, a shape-shifting monster that preys on fear. Bill Skarsgard takes on the iconic role in the film, which will be set in the '80s. The movie has been on viewers' radars for a while now, with the teaser trailer breaking viewing records, but still blew away initial predictions of a $50 million opening weekend. The previous all-time domestic opening record for the month of September belonged to 2015's Hotel Transylvania 2, which pulled in $48.5 million. IT also broke records for horror movie, surpassing Paranormal Activity 3's $52.6 million for the biggest opening ever in the genre. This is also good for the second biggest R-rated opening weekend of all time, behind only 2016's Deadpool. This is also an impressive figure for 2017 as a whole, which has seen flop after flop in an increasingly tough market. IT's opening weekend, which is right on par with Spider-Man: Homecoming's, falls only behind Beauty and the Beast and Guardians of the Galaxy Vol. 2 for biggest openings of the year. IT's performance is very welcome in Hollywood, which has been struggling after the summer box office hit its lowest figures in 20 years. All of this is also against a reported $35 million budget, far below that of those other huge films. IT can partly thank the lack of competition for its success. Labor Day weekend saw no new wide releases, and the box office has been topped for the past few weeks by the same set of movies. With viewers searching for a blockbuster, IT certainly delivered, capping off its stellar word of mouth with an impressive 86 percent Rotten Tomatoes score to seal the deal as a big hit. IT's performance also bodes well for its already ordered sequel, which is set to take place in the present day. That film is reportedly set to be written by Annabelle: Creation's Gary Dauberman, who also worked on the screenplay for the first movie. 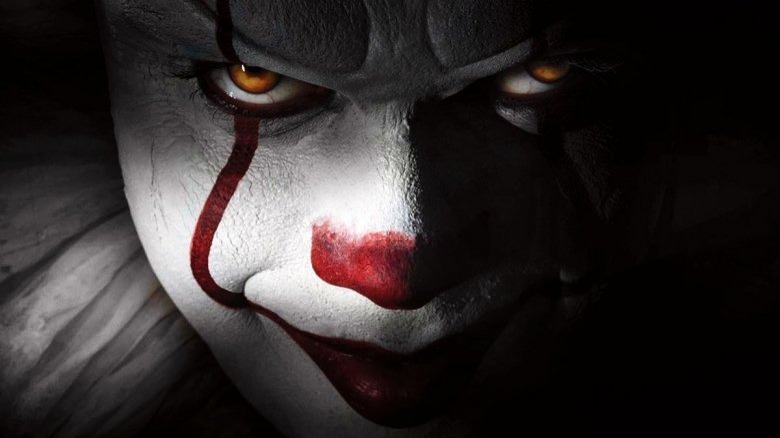 Director Andy Muschietti is likely to return as well, with the helmer saying he wants the sequel to explore the "cosmic dimension" of the novel. The rest of the weekend was filled by much, much smaller earners, with Reese Witherspoon's new rom com Home Again taking the second place spot with just $9 million. Frequent favorites The Hitman's Bodyguard, Annabelle: Creation, and Wind River filled out the top five. Still, though, the biggest story of the weekend by far is the monstrous performance of IT.